Eric Robert sits on death row awaiting (and hoping for) execution by the people of South Dakota. Last year he pleaded guilty to murder and asked to be sentenced to death. When granted an automatic appeal, he appealed the appeal. His execution has been stayed as he fights for his right to be executed. A South Dakota inmate who acknowledged killing a state penitentiary guard in a failed escape attempt asked a judge on Wednesday to sentence him to death, saying his one regret is that he did not kill another officer and that he will kill again. Eric Robert, 49, pleaded guilty in September to killing Ronald "R.J." Johnson on April 12 – Johnson's birthday – in an attempt to sneak past other security. Robert waived his right to a jury trial and said he wanted to be put to death, but Second Circuit Judge Bradley Zell said the state still had to prove the death penalty is warranted. Robert had been serving an 80-year-sentence on a kidnapping conviction when he attempted to escape with Rodney Berget, 49. Robert told Zell during his pre-sentencing hearing that he was so full of anger and hungry for freedom on April 12 that he would have killed anyone who stood in his way. "Brad Zell, if you stood between me and the door of freedom, I would kill you," Robert said. Robert said the one regret he has from April 12 is that he did not bring the pipe with him to the gate to kill the officer who stopped him. Once he realized his plan was going to fail, Robert said he began climbing up the wall of the prison – not to escape but to try to reach for the rifle of an officer on the lookout. "I would have shot that weapon until it was empty," he said. Zell told Robert that wanting to die is not reason enough for the death penalty. "There are many people who want to die," Zell said, adding that that doesn't count as an aggravating factor. The judge must find at least one aggravating factor was present during the killing to sentence Robert to death. The state presented five factors during the three-day pre-sentencing hearing: the death of a correctional officer, the manner of death, where and why it occurred, and the defendants' criminal background. 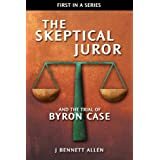 Robert said he was guilty of all five factors and offered a sixth one to the judge – stealing Johnson's uniform, which included his wallet with money inside. Lynette Johnson, Ronald Johnson's widow, broke down in tears and had to be escorted off the witness stand as she testified about how her life has been ruined because of Robert's actions on April 12. In their 34 years together, they spent a total of six nights apart, she said. "We weren't done," she said. "We weren't done living. He wasn't done living with me." I oppose the execution of anyone who may be factually innocent of the crime for which they are to die. I all other cases, I stand mute. In the case of Eric Robert, I stand mute. Polished site; I like it; I'm following. But what's with this copy 'n paste of the Huff's piece? Where are YOUR words? YOUR take? 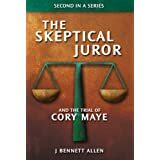 Where's 'Skeptical Juror' in this Blog post, other than "I stand mute"? Come on, your readers are worth, I am sure, more than coping & pasting articles from papers! With the kindest of regards. I attempt to review each execution before the fact. My review usually begins with reading the appellate decisions which I find via Google Scholar. I also search the web for any claim of innocence. If I find nothing suspicious, I usually cut and paste from the appellate decision. In the case of Eric Robert, there was no appellate decision available. Rather than shamelessly cutting and pasting from Google Scholar, I shamelessly cut from Huffpo. I focus on wrongful convictions. With respect to writing of wrongful convictions, the charges against my writing are opposite of yours in this case. I write extensively, too much so to attract casual readers. If you would like to test your readership mettle, you can start by catching up on the Case of Preston Hughes III. Search for Table of Contents in the Google search field at the upper left of this blog. Search also for Richard Clay, in which I used my own words (many of them) to oppose his execution, and to contact the appropriate Governor to state the opposition. With respect to "Come on, your readers are worth ... more than coping [sic] & pasting", I suggest your charge is meaningless. Of course a human is far more valuable than my cutting and pasting of an article, though it is an odd and meaningless comparison. If you mean my readers' time is more valuable than my time, I have insufficient information to agree or disagree with your point. My guess is that in some cases it is true, and some cases it is not. If you mean that somehow I owe you or my other readers something, then I simply disagree. Individual rights are increasingly tenuous in this world, but (as far as I know) I still have the right to write as I wish, and you still have the right to read as you wish. 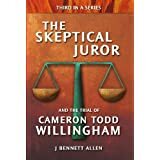 So, thank you for the compliment, and welcome to The Skeptical Juror. I think that just told me. I will read up on the two offenders you have suggested. And, Linda Carty? I'm curious as to your view? I'm glad you elected to hang around. I do take requests, so I'll be pleased to review Linda Carty. I assume your interest in that particular case relates at least in part to the fact that she she is a British citizen. I am somewhat familiar with the case. It's a bizarre one. It involves plans to cut a baby from the victim's womb and a defense based in part on the defendant being a secret agent for the DEA. The evidence for each of those claims is not insignificant. I make no claim to divine actual innocence out of thin (or sparsely populated) air. I need data. I need case documents. I need transcripts. What I have is a whole lot of nothing. What I fear is available in the case of Linda Carty is a whole lot of nothing. If you have any information relative to the case, I would appreciate a peek. Oh, I love the Marlowe quote; just brilliant. You've got the gist re Carty. No, my interest isn't because she's "British" - I don't consider her a Brit. And she herself didn't either at her trial when asked by her lawyer what nationality she was. She has only recently gone down the "I'm British" route. I wonder if her impeding 'date' has something to do with it. What am I saying, of course it bloody well does! Then, at the bottom of it just before all the comments begin (including two I believe are from Clive Stafford Smith) you'll find some links, one is to my Google Docs where the complete and original Court of Appeals judgement is regarding her case - full details of her crime - her trial - court's reasons for denying her appeal against being executed. I will wait your thoughts. We have mind meld. I just returned from your site, I just read your Carty post. I just downloaded the document you suggested. I just added some clarifications to your post via the comments, which now await your approval. Why do you moderate your comments? Just curious. I moderate because of spam, dear boy. If I want to increase the girth of my you know what I'll find my own ways of doing it (can it even be done?). I don't need special offers plastered all over my Blog, thanks all the same. Thanks for reading and commenting; your comment is now live! Something for me to think about. I might have to do a couple of edits since your clarification on those points. As I understand, Carty is at the end of the road and just waiting on 'her date', hence Reprieve getting involved, and in a big way. Can't wait for your review here of Carty. Should be interesting.